Digital Innovation Hubs boosting European Microelectronics Industry. DIATOMIC ecosystem draws from the advanced technological excellence of the DIATOMIC consortium to execute three sector-specific cross-border Application Experiments to help technology adopters, end-users and smart solution developers realise tangible benefits of digitization. In-house excellence in dissemination is leveraged to ignite further ideation of digital products, processes and business models from non-tech SMEs and midcaps; thus promoting interest in experimentation with AME and SSI. INTRASOFT INTERNATIONAL SA (Belgium), F6S NETWORK LIMITED (United Kingdom), BIOSENSE INSTITUTE (Serbia), SYNELIXIS LYSEIS PLIROFORIKIS AUTOMATISMOU & TILEPIKOINONION MONOPROSOPI EPE (Greece), INSTITUTO PEDRO NUNES (Portugal), FRAUNHOFER GESELLSCHAFT ZUR FOERDERUNG DER ANGEWANDTEN FORSCHUNG E.V. (Germany), INOSENS DOO NOVI SAD (Serbia), LIBELIUM COMUNICACIONES DISTRIBUIDAS (Spain) FASTTRACK VC SCR SA (Portugal). Distributed control and simulation platform to support an ecosystem of digital automation developers. 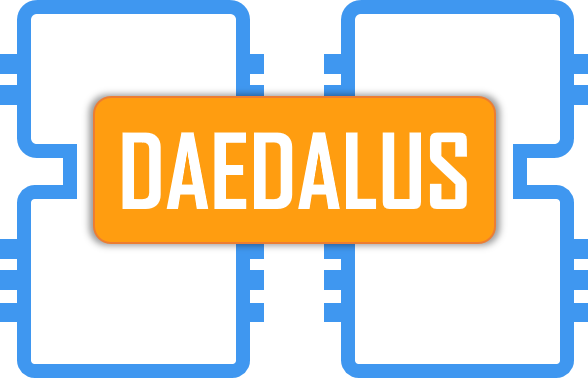 Daedalus is conceived to enable the full exploitation of the CPS (Cyber Physical System) concept of virtualized intelligence, through the adoption of a completely distributed automation platform based on IEC-61499 standard, fostering the creation of a Digital Ecosystem that could go beyond the current limits of manufacturing control systems and propose an ever-growing market of innovative solutions for the design, engineering, production and maintenance of plants’ automation. Daedalus proposes the deployment of an Automation Ecosystem for a multi-sided market based on a new generation of distributed intelligent devices (CPS) that, existing both in the real and in the cyber (simulated) world, can be aggregated, orchestrated and re-configured to exhibit complex manufacturing behaviours that optimize the performance of future shop floor. The initiative focuses on key topics for the competitiveness of Europe and its companies, encompassing a variety of interdisciplinary tasks with the objective of deploying a digital platform and multi-sided ecosystem for the industrial automation domain. NXTCONTROL GMBH (Austria), SYNESIS SOCIETA’ CONSORTILE A RESPONSABILITA’ LIMITATA(Italy), JETTER AG (Germany), BLUEBOTICS SA (Switzerland), LULEA TEKNISKA UNIVERSITET (Sweden), CONSIGLIO NAZIONALE DELLERICERCHE (Italy), ACT OPERATIONS RESEARCH UK LTD (United Kingdom),SCUOLA UNIVERSITARIA PROFESSIONALE DELLA SVIZZERA ITALIANA (SUPSI) (Switzerland), TTS TECHNOLOGY TRANSFER SYSTEMS SRL (Italy), HMS Industrial Networks AB (Sweden), OWL Solutions SA (Switzerland), SCHUNK GMBH & CO KG SPANN- UND GREIFTECHNIK (Germany), QBROBOTICS SRL (Italy) and LIBELIUM (Spain). Adaptive Gateways for diverse multiple environments. 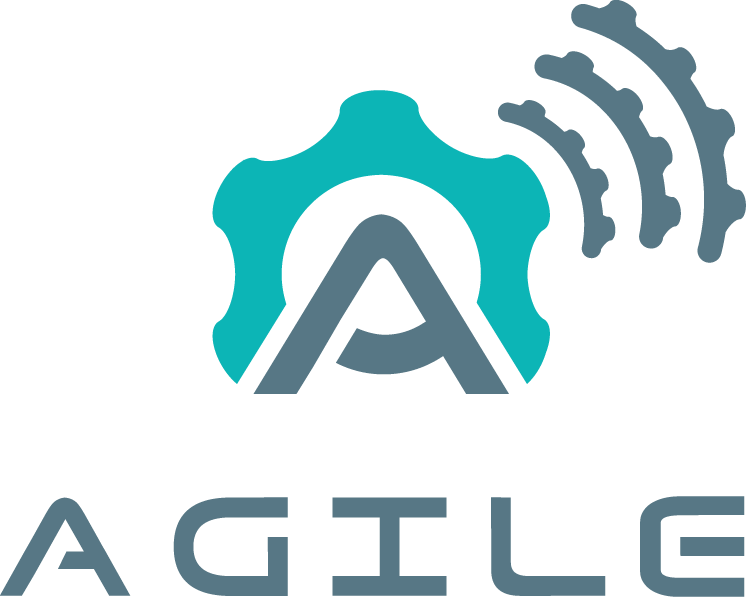 AGILE project aims to create an open, flexible and widely usable IoT solution at disposal of industries (startups, SMEs, tech companies) and individuals (researchers, makers, entrepreneurs) as a framework that consists of a modular IoT gateway enabling various types of devices, data management and device control maximizing security and privacy, support of various open and private clouds, recommender and visual developer’s interfaces, support of mainstream IoT/M2M protocols, and SDKs. Two separate gateway hardware versions and an ecosystem of IoT applications shareable among users and developers. The overall purpose is to offer tools to overcome limitations imposed by closed and vertical walled gardens for IoT apps development, offering a fully open platform for integration and adaptation with 3rd parties enabling a new marketplace for IoT apps. CREATE-NET (CENTER FOR RESEARCH AND TELECOMMUNICATION EXPERIMENTATION FOR NETWORKED COMMUNITIES) (Italy), IMINDS VZW (Belgium), Eclipse Foundation Europe GmbH (Germany), ATOS SPAIN SA (Spain), CANONICAL GROUP LIMITED (United Kingdom), Rulemotion Ltd (United Kingdom), Jolocom UG (Germany), UNIVERSITAT PASSAU (Germany), Sky-Watch Denmark), BIOASSIST SA (Greece), MOBISTAR SA (Belgium), Startupbootcamp Spain 2014, SL (Spain),TECHNISCHE UNIVERSITAET GRAZ (Austria), INSTITUT NATIONAL DE RECHERCHE EN INFORMATIQUE ET EN AUTOMATIQUE (France), EUROTECH SPA (Italy),Ciseco (United Kingdom), IoTango S.A. (United States) and LIBELIUM (Spain). Adding socio-economic value to industry through the integration of artists in research and open innovation processes. 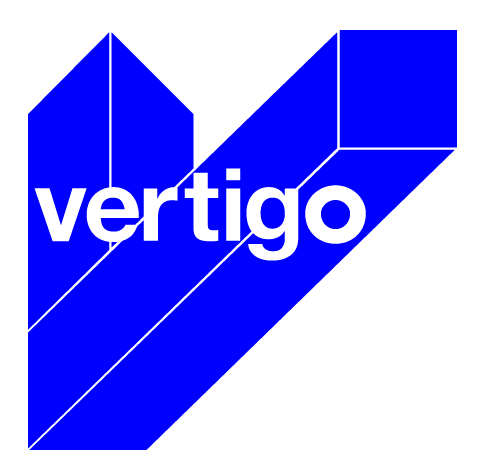 The VERTIGO project is a Coordination and Support Action (CSA) supported by the H2020 Program of the European Commission. Its purpose is to support and coordinate these synergies at the European level through three main action lines: A program of artistic residencies as part of ICT R&D projects, through 3 yearly calls for proposals which will be selected by an international jury. The organization of a yearly public event in Paris exhibiting the results of these collaborations. The development of a web platform, uniting all concerned actors and offering , support to their related actions(matchmaking, communication, organization of third parties’ artistic residencies programs, etc.). IRCAM (France), Artshare Investigacao Tecnologia E Arte (Portugal / Belgium), Fraunhofer (Germany), INOVA+ (Portugal), Association Culture Tech (The Bridge), (France), Ecole Polytechnique F ́ed ́erale de Lausanne (Switzerland) and LIBELIUM (Spain). SOCIAL & SMART is a research project using the housekeeping scenario to experiment a pervasive network of Future Internet providing real services to a wide population. The goal is to devise an infrastructure allowing all appliances in a house to speak to a middleware where any user can easily create in the cloud cognitive and scalable solutions to manage them. It provides a knowledge management milieu where the user directly interacts with his middleware island as a part of a social network to issue what we call recipes. Through the recipes, he generates real workflows embedding commands that are finely tuned through cognitive processes based both on user feedbacks and on knowledge and services shared with the other members of the network. University of MILANO (Italy), AMIS (Slovenia), Arduino (Switzerland), Athens Polytechnic (Greece), Cartif (Spain), Gorenje (Slovenia), Universidad del Pais Vasco (Spain) and LIBELIUM (Spain). A unique in the world city-scale experimental research facility in support of typical applications and services for a smart city. The main goal of the project is the creation of a European experimental test facility for the research and experimentation of architectures, key enabling technologies, services and applications for the Internet of Things (IoT) in the context of the smart city. This unique experimental facility will be sufficiently large, open and flexible to enable horizontal and vertical federation with other experimental facilities and stimulates development of new applications by users of various types including experimental advanced research on IoT technologies and realistic assessment of users’ acceptability tests. The project envisions the deployment of 20,000 sensors in Belgrade, Guildford, Lubeck and Santander (12,000), exploiting a large variety of technologies. Telefonica (Spain), Alcatel-Lucent (Spain), Alcatel-Lucent (Italy), Ericsson D.O.O (Serbia), TTI Norte(Spain), Universidad de Cantabria (Spain), University of Surrey (United Kingdom), Universitat zu Lubeck (Germany), Lancaster University (UNited Kingdom), Commissariat a l’ Energie Atomique (France), Computer Technology Instritute (Grece), Alexandra Institute (Denmark), Santander Council (Spain), Sociedad para el desarrollo de Cantabria (Spain), University of Melbourne (Australia), Centro di Recerca, Svilupo e Studi Superiori in Sardegna (Italy), University of Reading (United Kingdom), Warsaw University of Technology (Poland), Center for Research and Tech- nology Thessaly (CERTH) (Greece). And LIBELIUM as solution provider. The EkoBus system deployed in the cities of Belgrade and Pancevo is made available for experimentation on IoT data level. EkoBus was framed within Smart Santander funded by the EU through its FIRE program, the main goal for this project is the monitoring of environmental parameters through wireless sensing nodes installed on urban buses in the city of Belgrado. Amongs other features, this platform provides bus location, arrival estimation and environmental monitoring parameters including gas concentration, temperature, atmospheric pressure and relative humidity. Persasive Air-Quality Sensors Network for an Environmental Friendly Urban Traffic Management. RESCATAME is a European project (co-financed by LIFE programme) and represents a new system for sustainable traffic management by using models that predict pollution levels, which are fed with data, gathered by the air quality sensors network and may help to take early action. The project has included the implementation of a sensor network at critical points (hot-spots) in the city of Salamanca (Spain) which provides pollution data that after having been modelled are a key element in the management of urban air pollution and to ensuring sustainable mobility in Salamanca. Centro tecnológico Cartif (Spain), Ayuntamiento de Salamanca (Spain), EBN Innovation Network (Belgium), P&G Research Advisory Group (Spain). And LIBELIUM as Solution provider. Monitoring and studyng the habitat of bats using wireless sensor networks. The main aim of this project is to explore the capacity of the wireless sensor networks for the simultaneous and long-term monitoring of the spatial and temporal deviations in the presence and relative abundance of bats outside their refuges, and the variable that can explain it. The final goal of the project is the creation of a robust , efficient and effective platform capable of monitoring the enviromental parameters in the feeding habitats and displacement of the bat species of a certain area. Wireless Galicia (Spain), IN.CI.TE Inovacion, ciencia e Tecnoloxia, Xunta de Galicia(Spain). LIBELIUM as Solution provider. Fast deployment wireless sensor network for early detection of critic situations. PRETESIC project has been deployed in the city of Valencia, and its main goal is to monitor water quality by measuring different environmental parameters. Its strongest point is the minimizarion of the time required to deploy a wireless sensor network in a particular area. On the one hand, these sensor nodes have been used to measure water parameters such as PH, temperature, conductivity or redox, which allow to determine water quality and check whether the different processes within water cycle are working properly. On the other hand, this system allows to detect possible engines or water pumps problems, preventing them from stopping and saving a huge amount of money. Institute of Computer Technology (ITI) (Spain), Polytechnic University of Valencia(Spain), Telefonica Cathedra (Spain). LIBELIUM as solution provider.